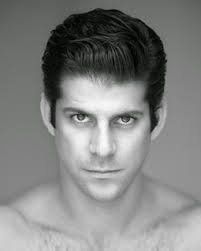 Musical Theatre News: Marcelo Gomes to guest star as Luca in The Car Man at Sadler's Wells. Marcelo Gomes to guest star as Luca in The Car Man at Sadler's Wells. Brazilian ballet star Marcelo Gomes will guest star in th title role of ‘Luca’ in the internationally acclaimed and multi-award winning dance thriller Matthew Bourne's THE CAR MAN” during the four week summer season at Sadler’s Wells from 14 July to 9 August 2015. He will alternate the role with the previously announced Jonathan Ollivier and Chris Trenfield; all three dancers worked together last year, sharing the role of ‘The Swan’ when Marcelo Gomes made his debut with New Adventures in the Tokyo Season of Matthew Bourne’s Swan Lake.